Have you noticed unauthorised changes on your WordPress site? Do your visitors get a spam warning upon entering your site? Then you have probably been the victim of a malicious hack. Your WordPress website is on its way to being virus free. Thank you for submitting a free website consultation. A member of the CuroHosting team will be in touch within the next 4 hours to assist you. Google may blacklist you and you will miss out on new potential customers. Get in touch today and CuroHosting will scan your website completely free of charge. 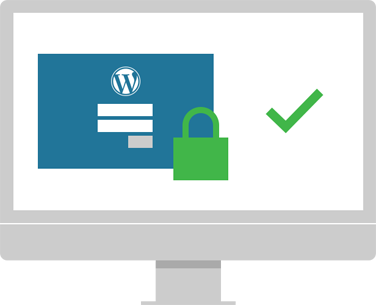 When you sign up to one of our Managed WordPress Hosting packages you get our 100% security guarantee. Your WordPress security becomes our problem, our security software traps the majority of issues, and if anything does get through, we find out how, we patch it and block it, all done as a priorty. Do you fix websites that have already been hacked? Yes we do! 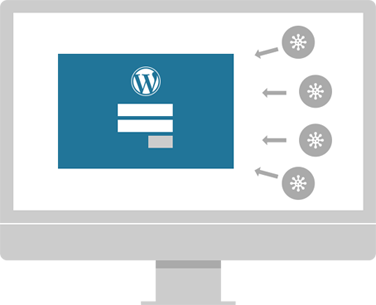 When you sign up to our Managed WordPress hosting we transfer your website for free and put it through a thorough cleaning process. All files and databases are downloaded to create a full backup. A copy of this back up is made and common threats known to us are manually removed. The WordPress core is stripped out and replaced with our latest secure version. The site is uploaded to our test servers and a full scan performed where any remaining threats are removed. 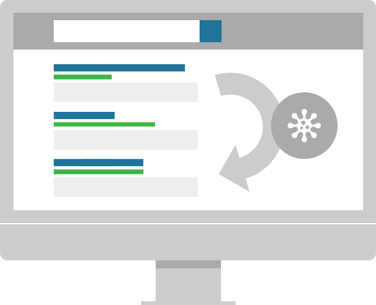 A DNS simulation is then created so you can view your website before changing any DNS settings. Once it is verified that everything is working ok, the site is ready to go live. A number of applications are then installed and configured to monitor and protect your website. Why has my WordPress site been hacked? Prefer to speak directly to one of our WordPress experts? Our UK-based team is available to answer any query you might have. Just ask! What damage can a hacked WordPress site do to my business? Unfortunately, having a hacked WordPress site can have huge implications for your business, especially if the malware and viruses are not removed quickly and efficiently. If left unfixed one of the biggest issues is that Google may blacklist your site! Theft of data, both yours and your customers. Damage to your sites Google rank and brand reputation. The possibility of your website being blacklisted. A loss of sales both immediately and in the long term. How can I stop my WordPress site being hacked again? Managed WordPress Hosting is one of the only guaranteed ways of fully securing your WordPress website from viruses and malware. 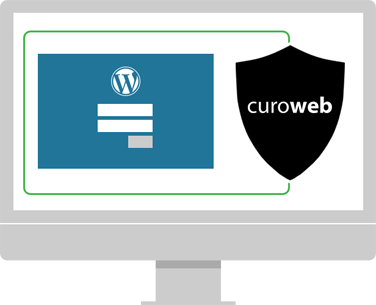 CuroHosting’s main focus is on WordPress site security. All of our hosting packages come with; an advanced firewall, daily virus scans and automatic updates. We also offer SSL certificates as add-ons to all packages. We offer a 100% security guarantee, so if in the unusual instance something does go wrong then you can rest assured it will be fixed-at no extra cost to you! Managed WordPress Hosting with CuroHosting is the best option for a fully secure, backed up and fast WordPress site.